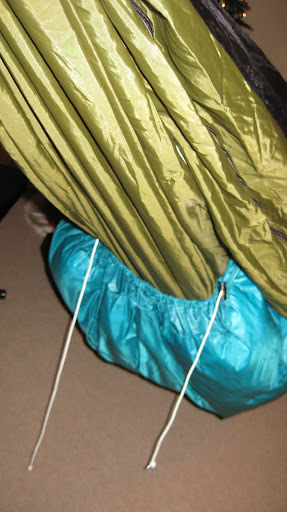 This fall I decided I wanted to upgrade my gear a bit and build an underquilt for my hammock. I spent a few months sourcing materials and ended up building a 2/3 length under quilt using once piece of 5 oz Climashield XP. Each of the four sides has a channel for shock cord to run through. 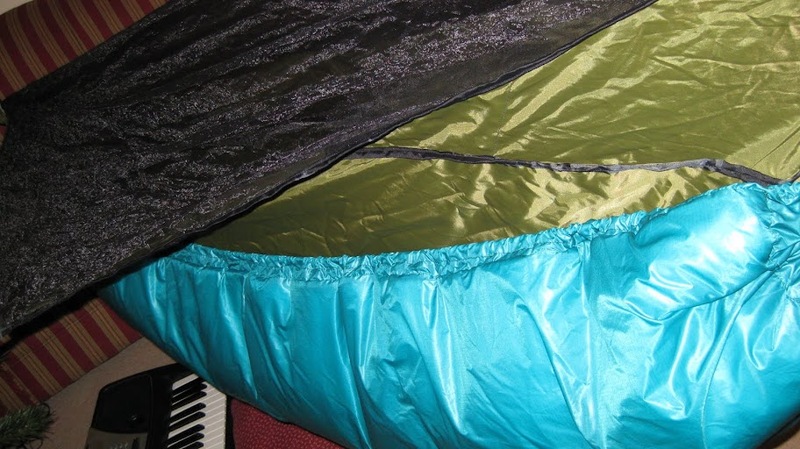 This allows for a better fit of the under quilt against the hammock body. 1 piece of 5oz Climashield XP from a member of Hammock Forums ~ 2 yards for $20. 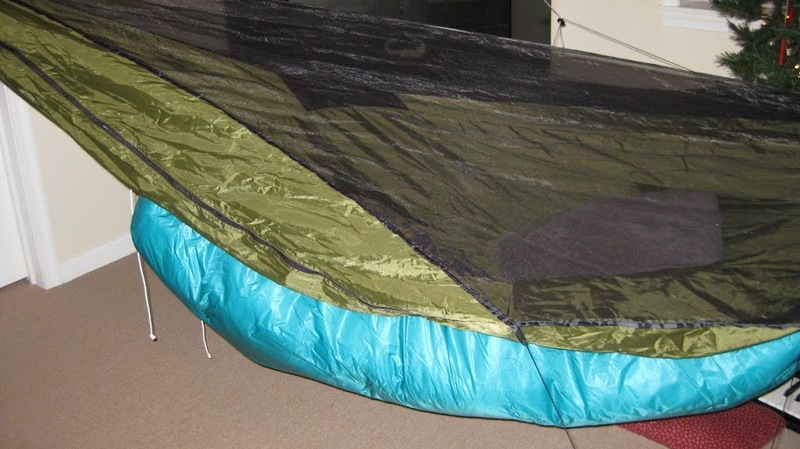 To have purchase a comparable underquilt like this would have ran me over a hundered dollars, so I am really happy with how cheaply I was able to make a quality piece of gear. It took about 4 hours of actual sewing and a few weeks of me trying to figure out how I wanted to do it. My plan was to make it multi-purpose so I could use it as a underquilt in the cold and as a top quilt for the summer months. I have been able to test it out at about 30 Degrees Farenheit and was toasty warm. Got the pattern for this? Is it just square?